Lawmakers advanced a bill from general file Jan. 24 that would update the state Department of Agriculture’s authority to regulate those who provide eggs for human consumption. 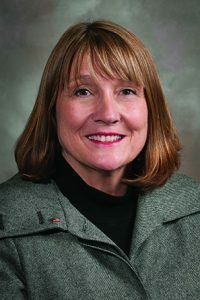 LB134, introduced by Sen. Lydia Brasch of Bancroft, would repeal the Graded Egg Act and transfer authority for regulating egg-handling operations to the Nebraska Pure Food Act. Egg handlers, defined as those who buy or sell shell eggs or process shell egg products, would be required to label eggs with an identification number assigned by the U.S. Department of Agriculture or the state Department of Agriculture. The bill also would authorize the state department to establish standards, grades and weight classes for eggs and would require those who sell or package eggs to comply with any applicable regulations under the Pure Food Act. Apart from incorporating oversight of egg-handling activities, LB134 also would strengthen the department’s inspection authorities. The bill would provide express authority for the department to enter and inspect food establishments or processing plants, examine records and take food samples. The department also would have clear authority to inspect food being shipped into or through the state and to obtain an inspection warrant. LB134 would clarify permit and inspection fees for food delivery services, businesses that do not prepare, store, serve or sell food and whose only food-handling activity is the delivery of food items such as restaurant takeout orders or home grocery delivery. The bill would define delivery services to distinguish them as a subcategory of food establishments and create a new license and inspection fee category for them. Currently, delivery services are included within the “all other food establishments” category and pay an annual inspection fee of up to $120.64. LB134 would reduce the annual inspection fee for food delivery services to no more than $17.23. LB134 would continue exemptions from licensure under the Pure Food Act for small producers and retailers of eggs sourced from local producers similar to the current exemption from licensure under the Graded Egg Act. “[The bill] does not impose any new regulations on small egg producers or egg sellers,” Brasch said. Senators voted 38-0 to advance the bill to select file.